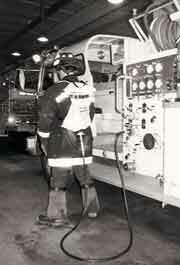 This one-of-a-kind system allows firefighters to have the option to interchange various head attachments. 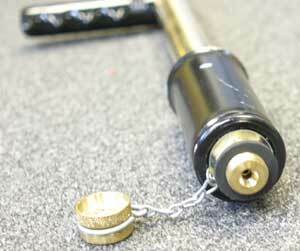 Our one inch steel handle has heavy stainless steel threads that join the items. Also includes Celtex Grips. 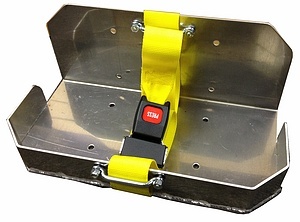 "Non-slosh" rounded design keeps the unit comfortable, balanced, and steady. The full padded pillow comforts that impinging feel of other tanks. The unit is completely corrosion resistant - will not rust like galvanized steel models and is less expensive than stainless steel tanks. 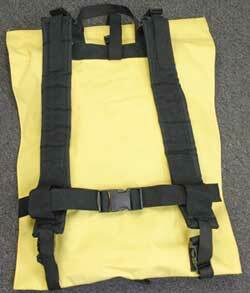 Adjustable padded shoulder straps are rugged, yet fit comformatbly and distribute the weight evenly down your back. Tank holds 5-gallons. Choose from two models: "DELUXE" or "DOUBLE DELUXE"
Deluxe Model - Includes the above described unit, including padded and adjustable shoulder straps. 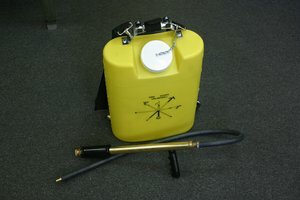 Double Deluxe Model - Has a female quick connect fitting on the tank and a male fitting on the hose. 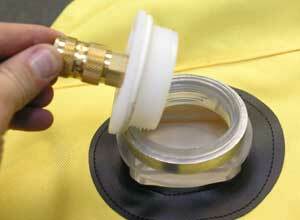 This allows removal of the pump to increase storage space of the tanks. No longer will the hose be in the way with its loop attachment. 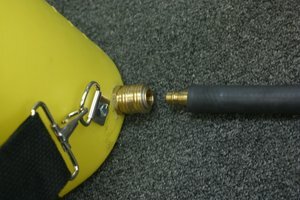 You can now store your pump and hose elsewhere on the rig. 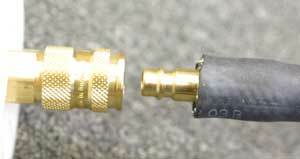 When using, simply connect the male to female with its quick connect application and your in operation. Redesigned in 2006 with New Hose Disconnect feature. 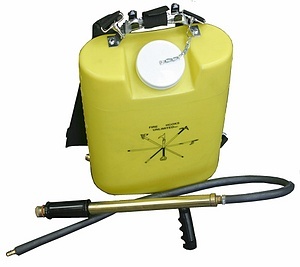 Our portable pump tank makes other models obsolete. While other canvas tanks are single walled and burst easily, this is the only double walled pump tank on the market. 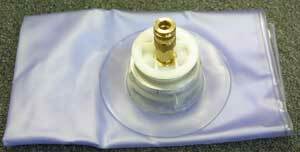 A tough and replaceable inner bladder gives extra strength, making the unit durable, cost effective and easy to repair. This is the only pump on the market with "Lubeport" a new design which allows you to lubricate the unit without having to take it apart. 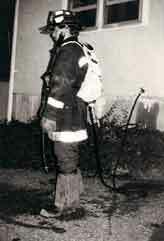 The SHO-HOE represents a unique feature in Wildland Firefighting by incorporating several tools into one. 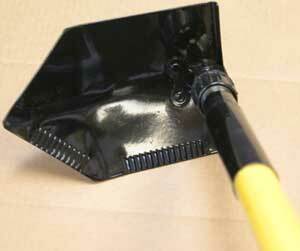 Made with a pointed Steel Shovel Head, two sides of the blade are seperated for chopping or penetrating. 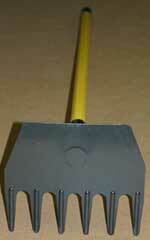 The handle is made of fiberglass with a non-slip Celtex grip. 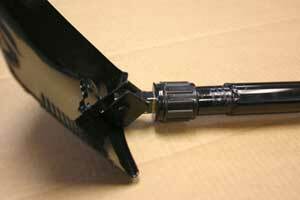 The heavy threaded twistlock allows the tool to be used as a straight shovel or lock at a right angle and use as a hoe. 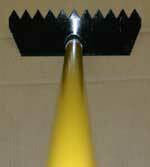 Complete with fiberglass handle and heavy duty hoe blade to withstand the rigors of wildland firefighting. 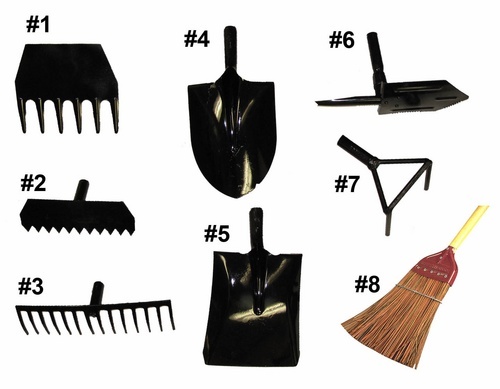 Can be used for trenching, grubbing or slashing brush. 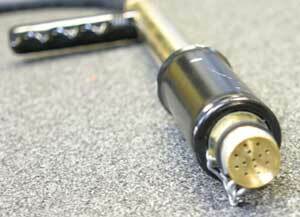 Also useful in cutting through deep duff, underbrush, and similar fuels. 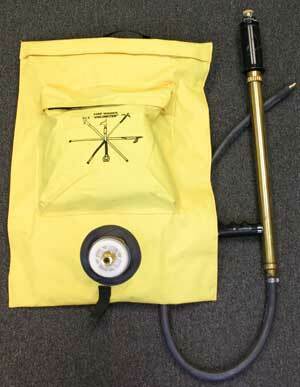 A combination axe and grub hole ideal for chopping, digging fire lines in hard and soft soils. Ground and tempered cutting edges. Axe head attached to our fiberglass handle which dramatically outlasts wood in firefighting applications by resisting breakage, heat, moisture, and cleaning materials.